Huffing, sweating, my heart started to race and my head started to spin. Oh God, I’m so unfit. And I’d only climbed up 20 steps! But, when I set my mind to something, I’m determined to see it through. 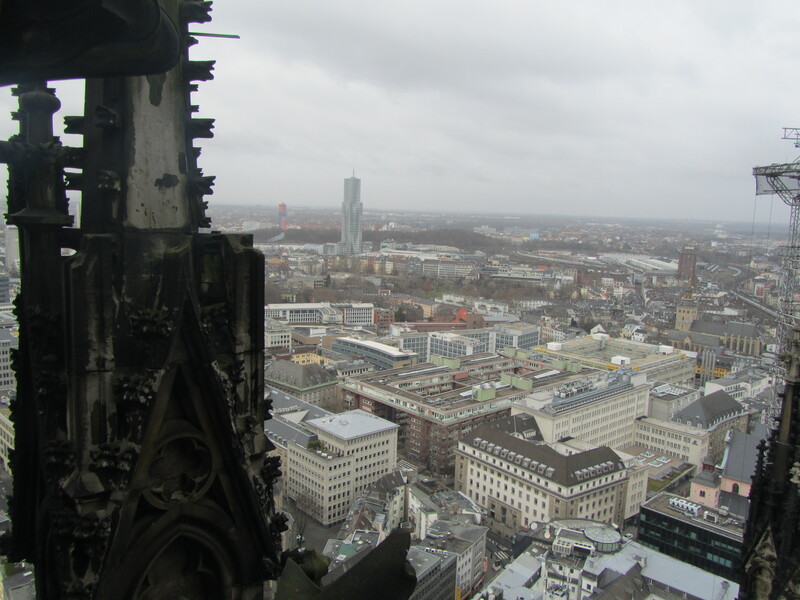 And if there was one thing I was set on doing on my recent trip to Cologne, it was climbing to the top of the city’s iconic Gothic Cathedral. That was before I realised it was more than 500 steps to the top. No lift. Just me, a spiral staircase, and a recommended time of 30 minutes to climb it. To be fair, my friend – who I was visiting – warned me that the climb was the equivalent of hell on earth, but I naively thought that it would be fine. I mean, I walk four miles every day, so surely I can manage a slow and steady climb? Well, that was my poor reasoning. I instantly regretted it as I enthusiastically bundled up the first dozen stairs. “Surely we’re almost there,” I kept crying out as my friend hopped up ten steps in front of me. This was going to be one very long climb. 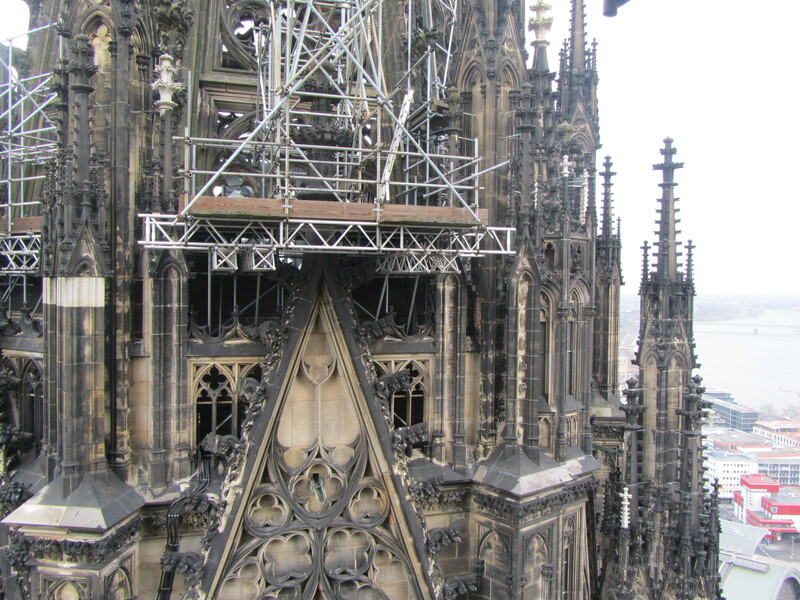 The foundation stone of Cologne’s cathedral was laid in the 13th century, but it wasn’t long before building halted thanks to a lull in both interest and money. In the 19th century, as public interest in the Middle Ages surged, building started up again with the cathedral’s spires being finished in accordance to the original 13th century plan. 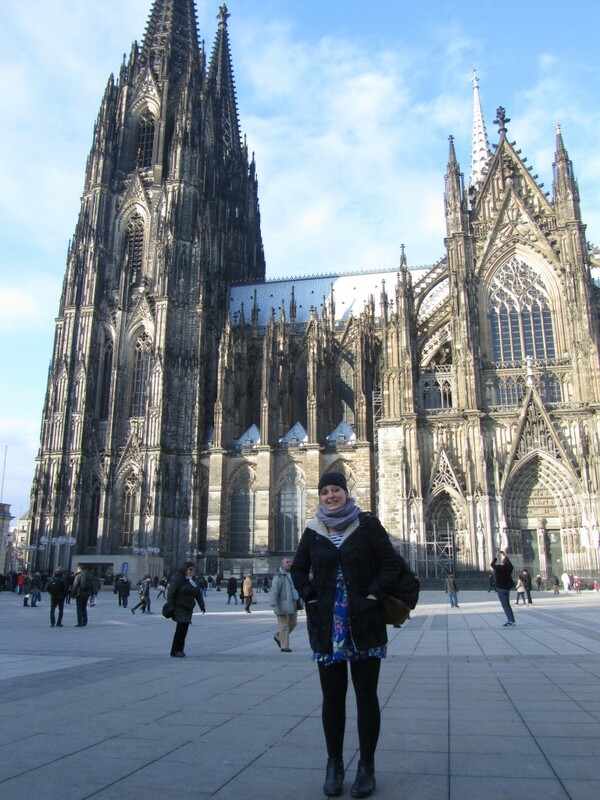 Today, the cathedral is a UNESCO World Heritage Site and one of Germany’s most popular tourist attraction. But, as you would expect from something that was built to 13th century specifications, the cathedral isn’t exactly built with hoards of tourists in mind. But then again, nothing worth doing is really that easy, is it? 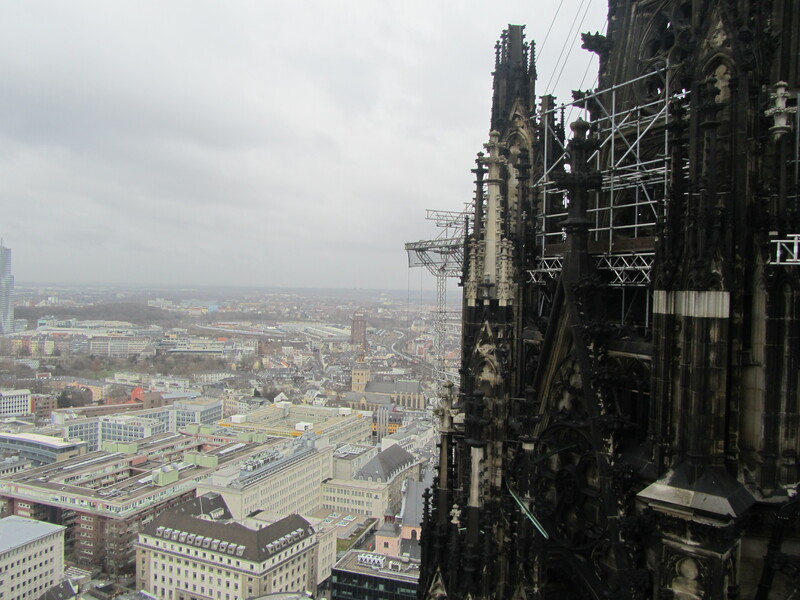 The cathedral’s climb/trek up can be split into three sections. The first is the longest, with a spiral stone staircase which seems to go on forever. It wouldn’t seem so bad, but as the same time you’re going up, people on the way down are trying to squeeze past, making it hard to find somewhere to rest for a few minutes. You do often find a doorway ledge though, so if you’re looking to take it slowly keep an eye out for these in order to take a rest! After a while, you come out to a large open space with seats around the edges. This is the perfect opportunity to catch your breath, take a few sips of water and prepare yourself for the second section – a metal staircase. The metal staircase isn’t actually too bad because you have a bit more room to manoeuvre. Once you reach the top of this staircase, you’ll then have another stone spiral staircase to conquer – but by the time you get to this bit, you can reassure yourself that you’re very nearly there. 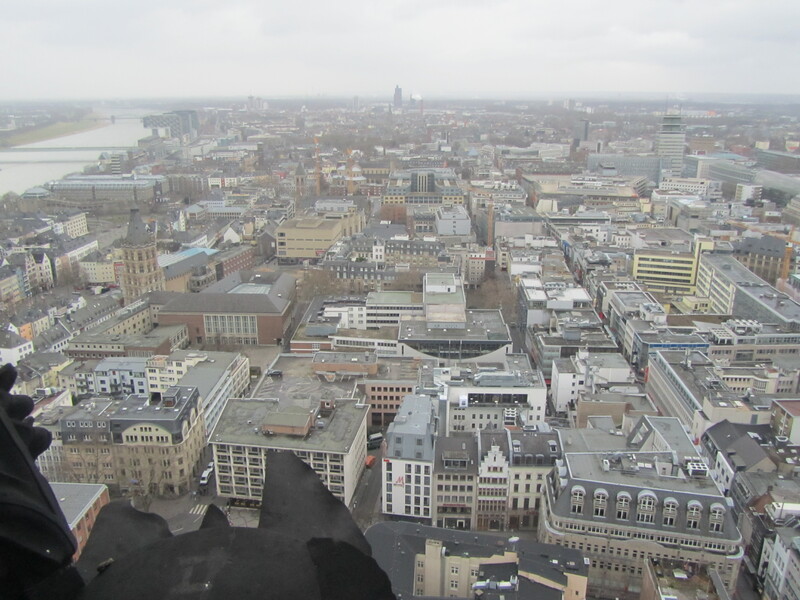 In fact, when we did get to the top of the cathedral, I didn’t even realise. I was just about to admit defeat and start on the way back down, when my friend peered round the corner of the second landing section and declared we had reached the top. I should have been elated, but I just remember feeling complete and utter relief. It wasn’t particularly busy up the top, with only a few people milling around. There’s a man whose job it is to sit in a small office on this top level, which you would think would be a really cool job until you realise he has to do that climb every single day. We visited in February, so luckily the weather was quite cool – but I couldn’t imagine doing that climb in the hot summer weather when it’s so horrendously busy! One of the best things about climbing right to the top of the 100-metre cathedral is that you get to view the fantastically intricate architecture of the spirals up close. It was a shame to see that over the years the walls had collected so much graffiti – it seemed that nowhere was safe from a spot of paint, with even some of the protruding stonework having been targeted! Luckily the way down was a lot more relaxed, although my legs were shaking from all the physical exertion. 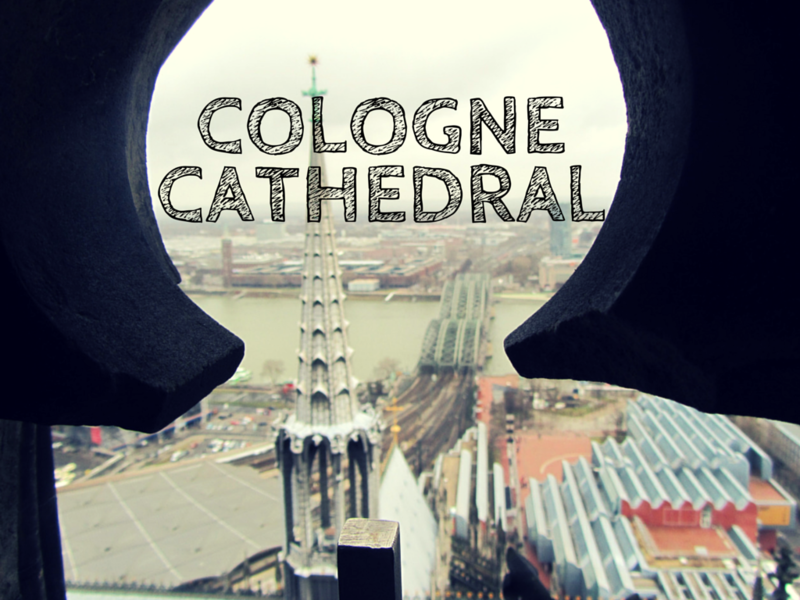 My advice if you’re taking on the Cologne Challenge – take some water, take it easy and don’t forget to pack your camera! Don’t forget to combine your visit with a trip to the main cathedral hall – it’s free to enter! 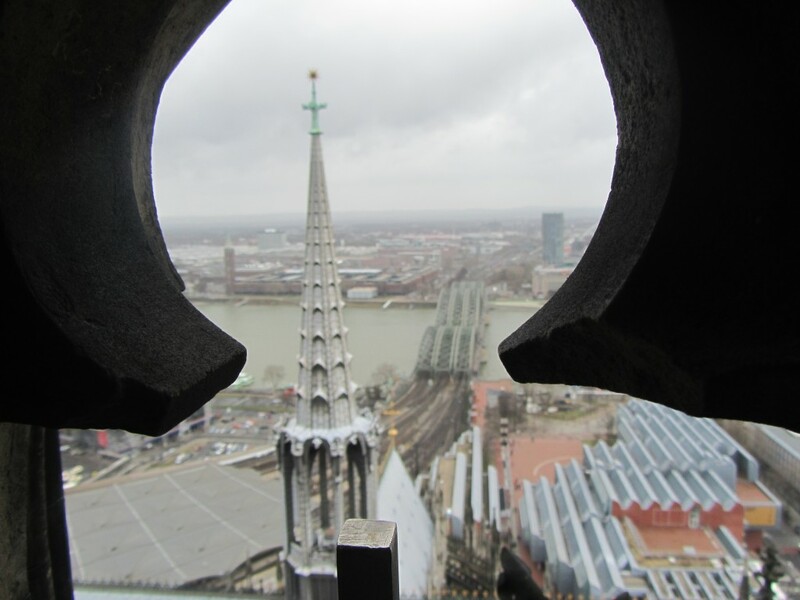 Have you climbed to the top of Cologne’s cathedral? Would you be tempted to? Great views though! 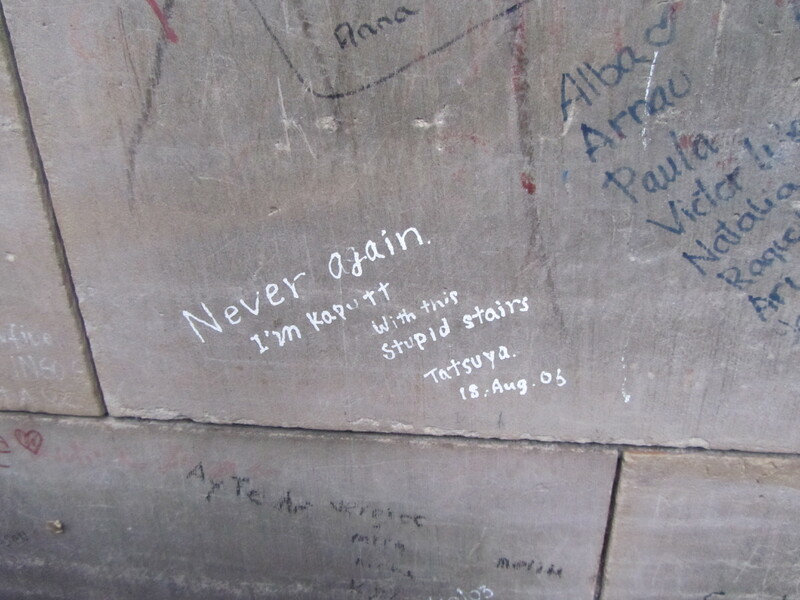 Shame about the graffiti, I’m not even religious and think that’s so sad that a Cathedral is treated that way but maybe they don’t mind or they’d make more effort to keep it in check. Sounds very familiar! I’m a bit obsessed with climbing tall buildings for the views but about halfway up I always start wishing I had bothered to get a bit fitter first. The views always distract me from the pain though. 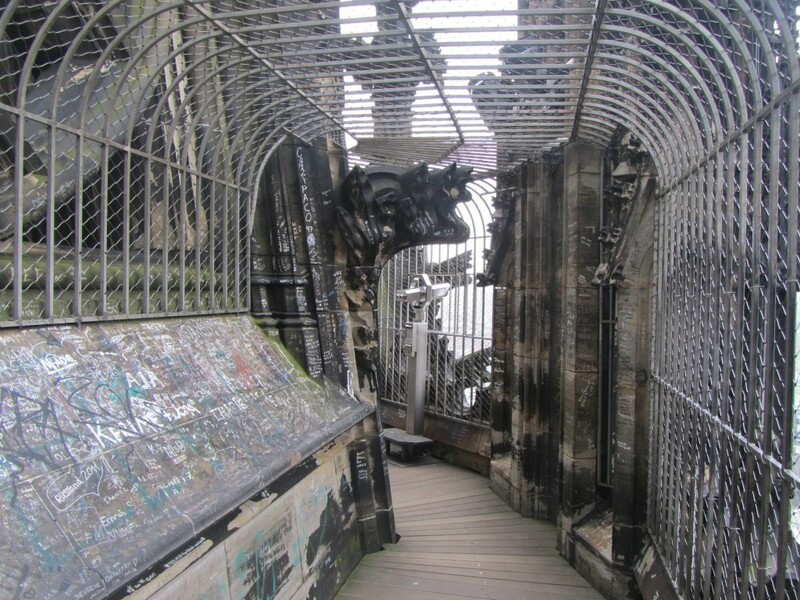 I only visited Cologne once when I was about 11 so didn’t do the climb, but when I get back there I shall give it a go (better start training!). Ha, same – I’m always a little disappointed when there isn’t a lift 😉 Hope you get back to Cologne soon!